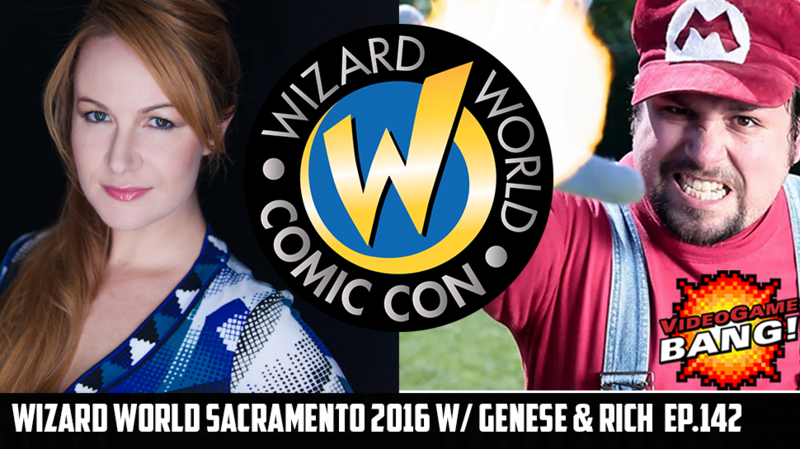 There is nothing like a live audience, and in Sacramento this last weekend the Wizard World audience in panel room 202 was electric! Cory and Aaron were joined by two of VGB fan favorites Genese Davis and Rich Alvarez. Genese is the acclaimed writer of gamer novel The Holder’s Dominion, writer for MMORPG.com and host of the Gamer’s Dominion Podcast. Rich Alvarez is a sketch comedy writer, creator and star of the Stupid Mario Bros. on YouTube. In the VGB panels, we make the audience the star of the show. People line up and ask whatever questions are on their minds and we make fun of them, answer their questions and send them home with some epic E3 exclusive schwag we scored in LA this year. We hope you enjoy the show, and we will be back to our regularly schedule podcasting this Thursday!